FAITH is needed to survive as a Christian. FEAR is the enemy of FAITH. There are two things about fear, actually three to be concerned with. The first thing to fear is FEAR ITSELF. 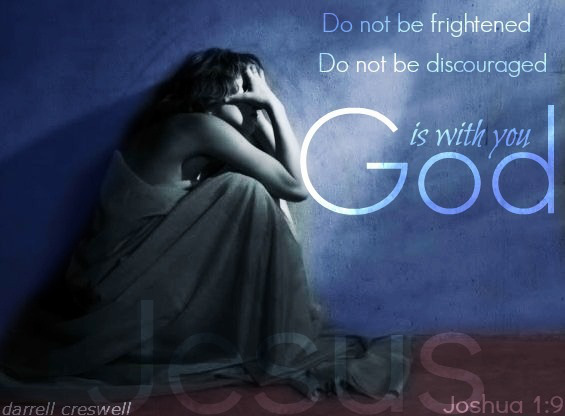 Fear is the opposite of our faith in God! Fear defeats any faith we may have. It is the enemy to ‘our hope and encouragement and success’, even our survival itself as a Christian believer. Fear comes from Satan, the father of lies who seeks to put us down with anything and everything that he can conjure up. ‘Enter ye in at the strait gate: for wide is the gate, and broad is the way, that leadeth to destruction, and many there be which go in thereat: Because strait is the gate, and narrow is the way, which leadeth unto life, and few there be that find it.’ Mt7:13,14. RUN from the church that never mentions sin and repentance, hell and coming judgment, the signs of the end times, and soon return of Christ. FEAR GOD should be number one on this short list. If we fear God and live by His Word we can have faith to live above those things that discourage and defeat us. This is why it is important to be in a church where Bible study is taught by Bible-believing pastors and leaders who teach from the Bible, and not preach ear-tickling, feel good sermons, and the latest false teachings that are going around as new revelation. But without faith it is impossible to please him: for he that cometh to God must believe that he is, and that he is a rewarder of them that diligently seek him. Heb 11:6. To ‘endure to the end’ and survive as Christians, we will need GREATER FAITH, which will only come by serious personal study and taking heed of God’s Word, especially if there is little or no emphasis on Bible study in your church.